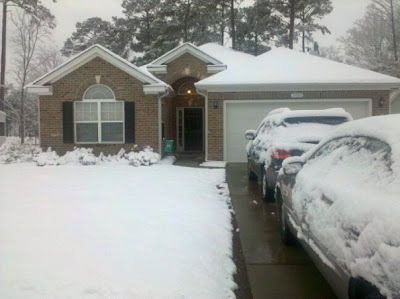 Life as a Jane Doe: snow on the coast of carolina. 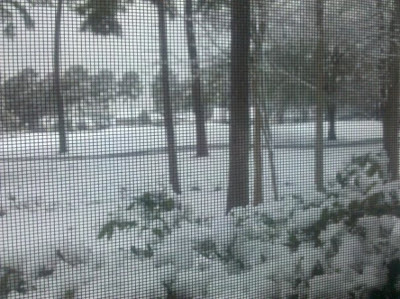 snow on the coast of carolina. it snowed here last night... beginning at about six pm last night and ending about seven or eight this morning. 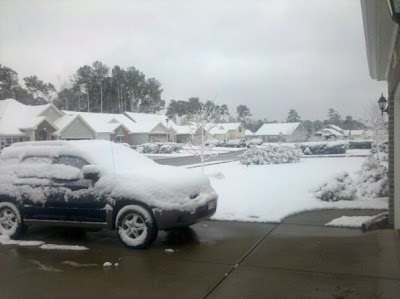 it snows every few years here in the state of sc but rarely ever do we get snow on the coast. i've lived here for six years & i've only seen it flurry for about 30 minutes, and that was about four years ago. it was pretty but now it's ugly. :D i'm not a big fan of snow... or rain... or anything but sunshine 24/7! it helped knowing that in less than week... i will be headed somewhere very, very warm. and last .... but certainly not least .... 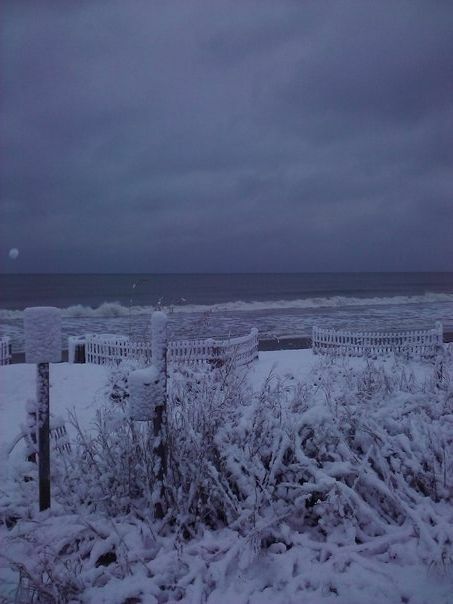 SNOW ON THE BEACH!